Platelet-rich plasma (PRP) uses a patient’s own blood components to stimulate healing response in damaged tissues. In response to an injury or tissue damage, the body naturally redirects platelets (clotting cells) and white blood cells from the blood to the injured area to initiate a healing response. Platelets store numerous growth factors that are released in response to signals from the injured tissue. When a concentrated solution of platelets and white blood cells from the patient’s own blood is injected directly into injured tissue, the same healing response is stimulated, but in a more powerful form. By enhancing the body’s natural healing capacity, the treatment may lead to a more rapid, more efficient, and more thorough restoration of the tissue to a healthy state. Blood is drawn from your pet and placed in a special processing unit, which separates platelets, white blood cells (WBC) and serum from red blood cells. The platelets and WBCs are then concentrated and collected into a sterile syringe. Some of the blood is used to create an “activator” of the PRP. The concentrated mixture of platelets and WBCs are then injected into the injured site. Depending on the location of the injection, your pet may need to be under sedation. Your pet must be off all non-steroidal anti-inflammatory medications such as Rimadyl and Metacam for 5-7 days prior to the procedure and 5-7 days after administration of PRP. Currently we have 98% success treating degenerative joint disease ( arthritis) ! Depending on the severity and duration of your pet’s injury, one to three PRP injections are recommended. About three weeks after the initial treatment with PRP, we will see your pet for a follow-up visit, during which your pet will undergo a full evaluation and examination. We will also ask you about your personal observations regarding your pet’s condition after the treatment. Depending on the findings, a decision will be made regarding the need for additional treatments. In general, chronic injuries require more than one injection. In both acute and chronic injuries, injections may be combined with an exercise or physical therapy program to enhance the success of the treatment. What should I expect after PRP treatment? Following the initial injection, your pet will experience some soreness at the site of the treatment, especially if a joint was injected. This soreness is a positive sign that a healing response has been set in motion. This effect can last for several days and gradually decreases as healing and tissue repair occurs. Your pet can resume normal activity, simply following our suggested rehabilitation plan. Vigorous or intensive exercise during this period is discouraged. Are PRP injections safe? Research and clinical data has shown that PRP injections are extremely safe, with minimal risk for any adverse reaction or complication. Because PRP is produced from your pet’s own blood, there is no concern for rejection or disease transmission. 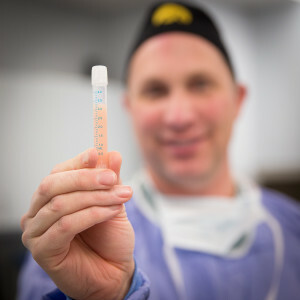 There is a small risk of infection from any injection into the body, but this is rare, and minimized by our use of strict sterile technique. Of note, recent research suggests that PRP may have an antibacterial property that protects against possible infection.